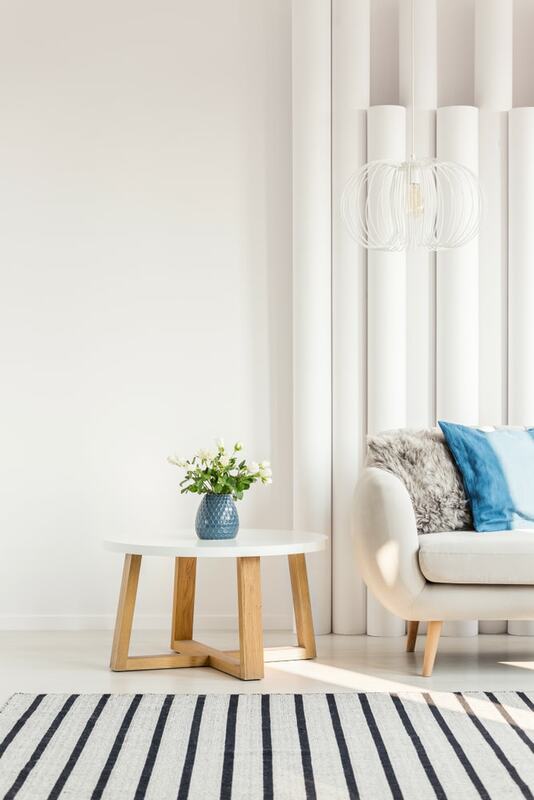 Refreshing the look of the living room when you’re on a budget isn’t easy, but there are a few tips and tricks you can use to update the look without spending more than $100. A few cheap and simple pieces can add some style to any room as long as you keep the overall look balanced. 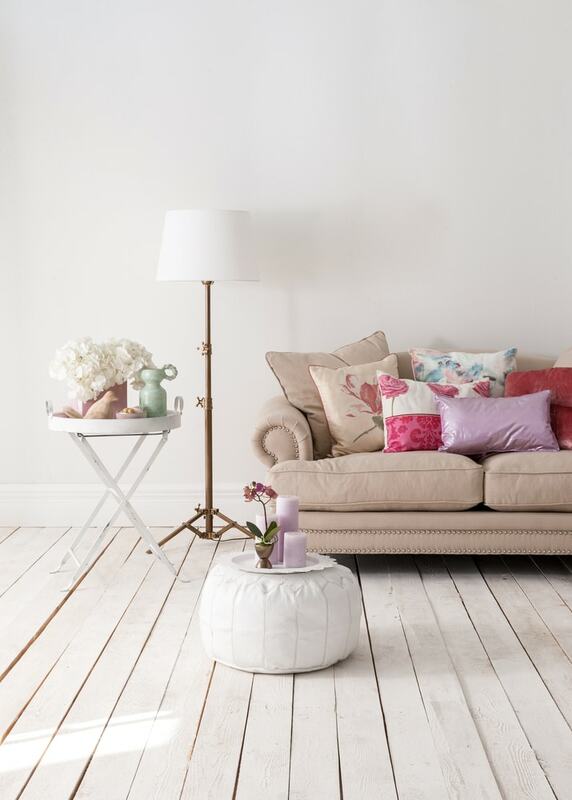 Making a bland room feel more homely doesn’t necessarily cost a fortune. It’s all about learning how to be creative and incorporate the right elements in more ingenious ways. 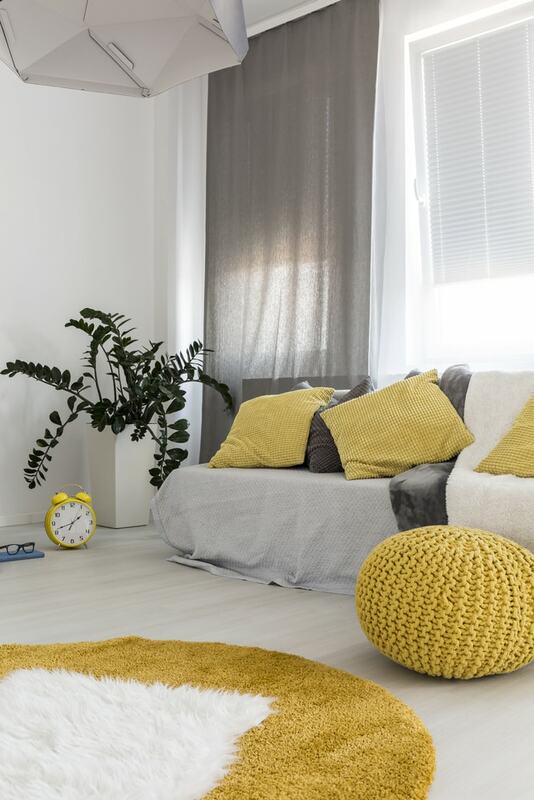 Take a look at these easy methods you can try to add some spice to the living room without breaking the bank. Even an old sofa can look better with the help of some new accent pillows. Until you will be able to save some more and change larger pieces, it’s a good idea to start with less expensive items such as throw pillows. With a bit of imagination and rearranging, you can achieve a brand new look. It’s also great that getting new accent pillows doesn’t mean you have to make a huge commitment. You can get some inexpensive sets of covers that can be changed whenever you feel like it. Here’s a great example of colorful throw pillow covers from Amazon. You should be able to find something for your home when there’s such a great variety of designs available. A bit of artistic flair can revitalize the look of your living room. Choose some fresh artwork or photographs to display on your wall. There are some models on the market that aren’t as costly or if you’re itching for some DIY work, you can always use some personal photos and frame them. Creating a wall of frames that keep a uniform color scheme represents a good idea to make the living room more interesting. 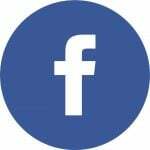 As you’re including your own photos, the final result will also look more personal. The windows in the living room are most likely in need of a makeover. Their look can be updated without breaking the bank if you pick a new style of curtains. Choosing drapes with floral or geometric patterns would be a nice solution to make a room feel fresh and more stylish. 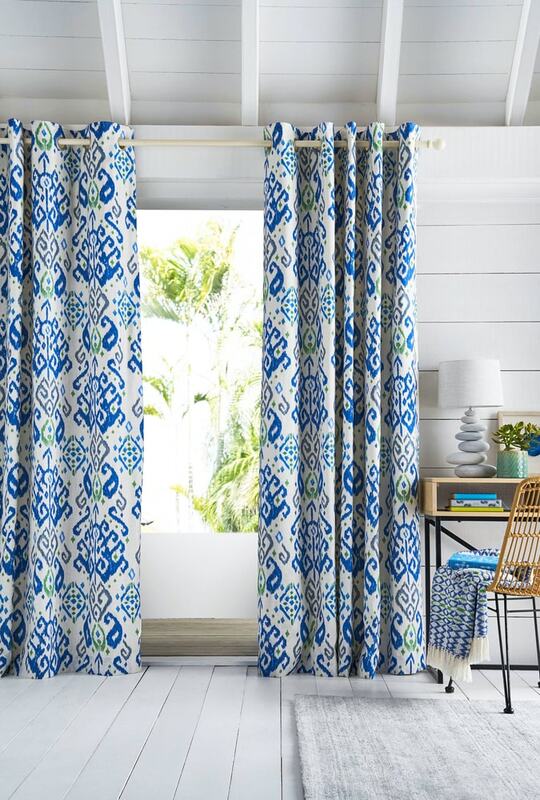 Take a look at these patterned curtains from Amazon that offer more interesting designs compared to traditional models. By hanging curtains higher you can also create the illusion of extra openness, so consider doing that if you want to make a subtle change to the windows in the living room. Another treatment for the windows that can enhance the look of the living room is to add a fresh coat of paint to the interior trim. You should be able to keep the budget for the materials needed under $100 without problems. Another budget-friendly idea for your living room is to incorporate some floating shelves. 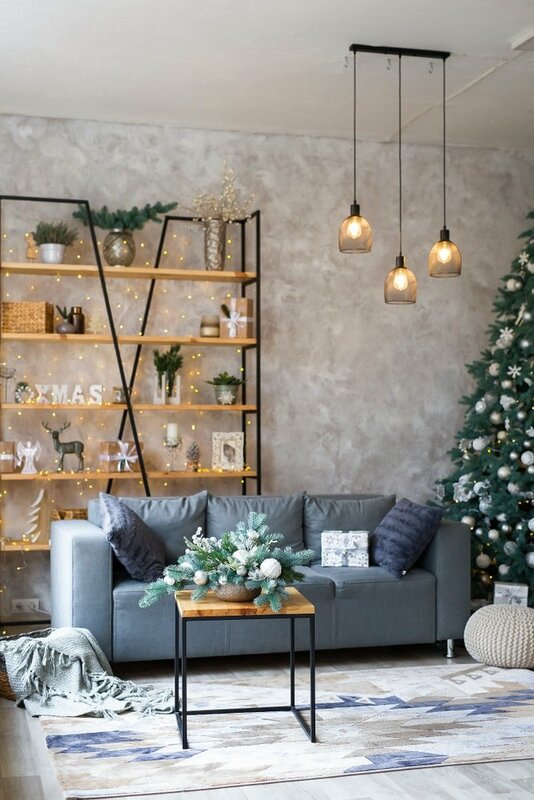 They’re very practical to display decorations, and it’s great how they don’t take that much floor space. The sleek look that results from keeping the hardware concealed is another brilliant advantage of this idea. Depending on the materials used and size, some floating shelves can get quite expensive. There’s no need to worry though because most of them should easily accommodate reduced budgets. 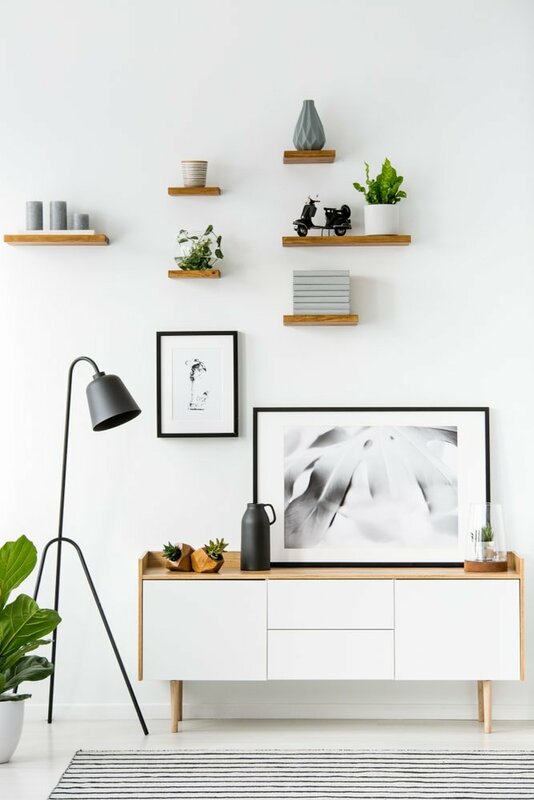 Here’s a rustic set of floating shelves found on Amazon that are highly attractive and simple to install. The atmosphere in the living room isn’t influenced just by the decorations on the walls or furnishings. Lighting plays an important role when it comes to influencing the mood of the room. Some basic lighting changes can be really impactful, so this is why we recommend trying to switch things up a little. For example, consider adding an elegant floor lamp to enjoy some warm ambient light. We like this model from Amazon that offers a versatile look fitting for a multitude of interior design styles. Sometimes it’s a better idea to remove items from the living rooms instead of adding more if you wish to obtain an updated look. 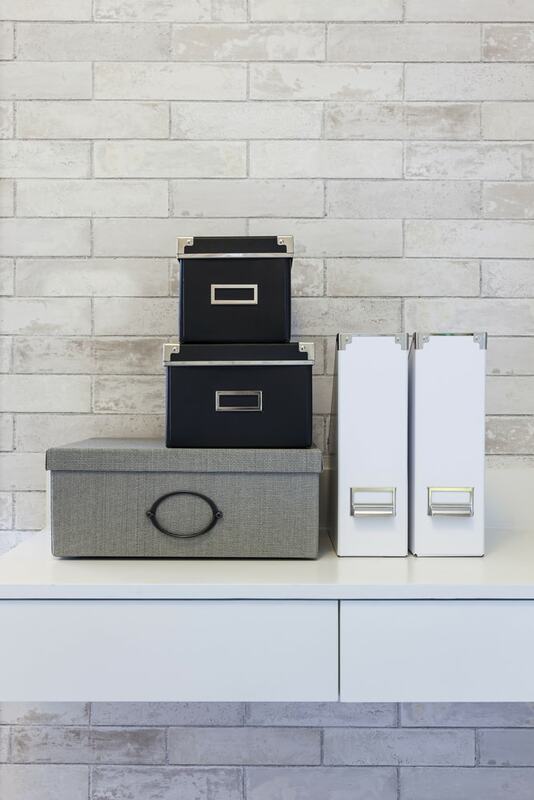 Decluttering may not be easy to do if you don’t have the right storage tools to organize your items. When you’re on a budget it can be tempting to go for extremely basic-looking storage containers. That’s fine for the basement or other places, but the living room is a high-traffic area where you can use this opportunity to use some more stylish bins. Practical homeowners will probably appreciate the look of this set of foldable cube baskets. You can get these containers on Amazon with a minimal investment. The bins can be labeled and they offer great potential for customization to match the décor in your living room. All those toys, magazines, and other items that are left around can be better organized now. 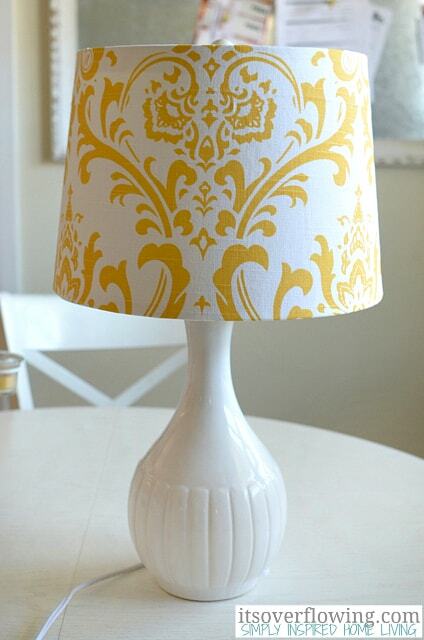 A gorgeous DIY project that can have a considerable impact at a very small cost is changing the shade on your old lamp. If you have some leftover fabric, you could try your hand at this project that involves adding some refreshing color to the lampshade. With just a few tools, you can add some more interesting patterns to transform the look of the lamp. A fireplace mantle adds a lot of interest in a living room, but you can take it to the next level by adding a fresh coat of paint. This is especially recommended if you feel like this area has lost some of its charm over time. 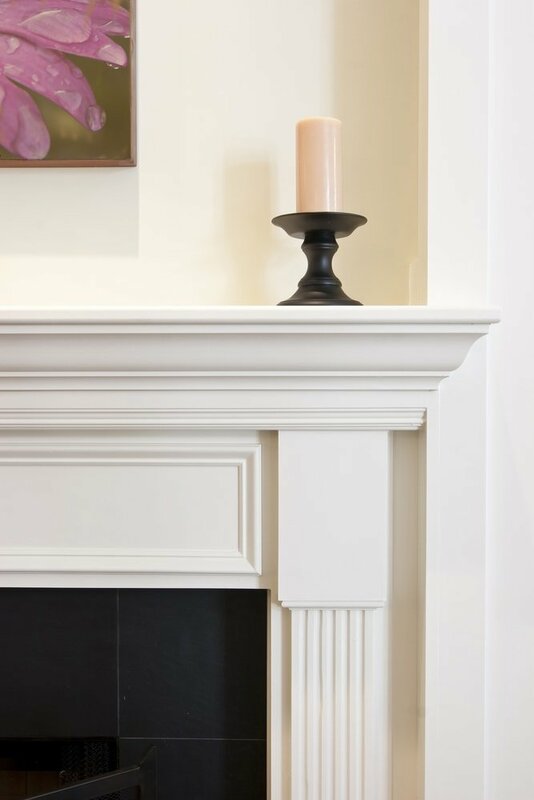 Another great idea is to use some flameless candles to decorate the fireplace mantle. Better when it comes to safety compared to regular candles, flameless models can be beautifully contrasted against some framed artwork. Check out this great set of flameless candles from Amazon that feature a stylish ombre design. Painting all the walls in the living room will strain a limited budget too much, but that doesn’t mean you can’t work around this problem. 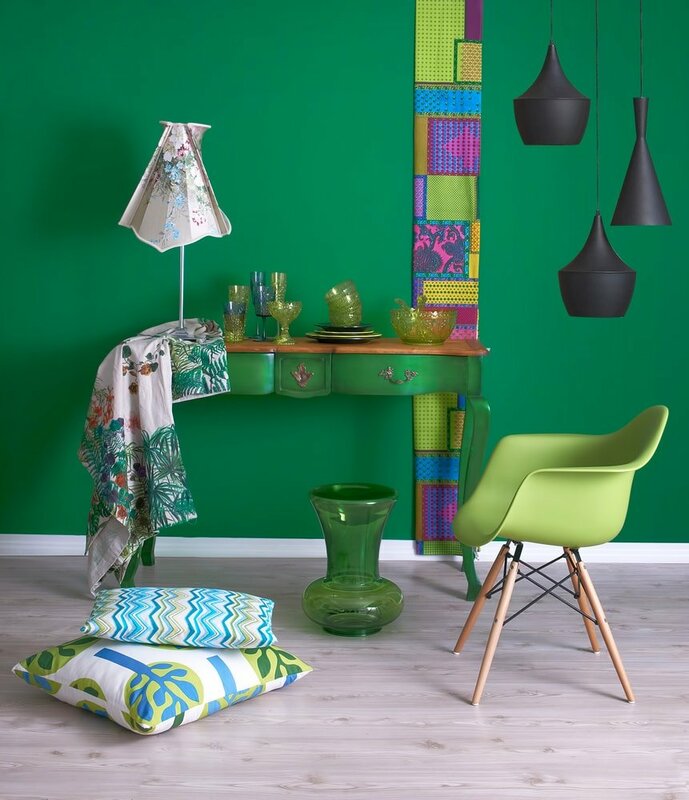 You could try to paint just a single wall in a contrasting color to make it stand out. This way, you can transform a particular area from the living room and make a bold statement. The rug in the living room can use a refresh, particularly if we’re talking about older ones that are very worn. Rugs are powerful accessories which can add a splash of color to any room as well as some much-needed texture. Designers tend to promote getting large rugs, but those can get way too expensive and impractical for smaller living spaces. 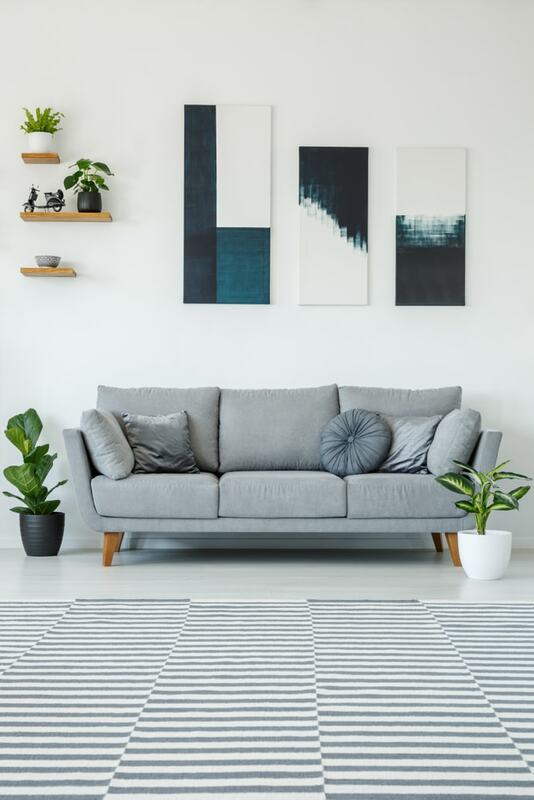 You’ll be pleased to know that the market is populated by many inexpensive rugs that still offer a great style to match a modern living room. One great example is this hand-tufted rug from nuLOOM which you can check out on Amazon. There are different patterns available and enough sizes to find the right one for your living area and budget constraints. If you feel like your living room is missing some natural elements, the best solution is to get some plants to make this area livelier. There are lots of varieties to choose from and you can definitely find the right plant to match your budget. Plants are a great addition to the living room as you can easily see their growth progress. Just make sure you are careful with the positioning to ensure that they’ll get adequate sunlight for their needs. 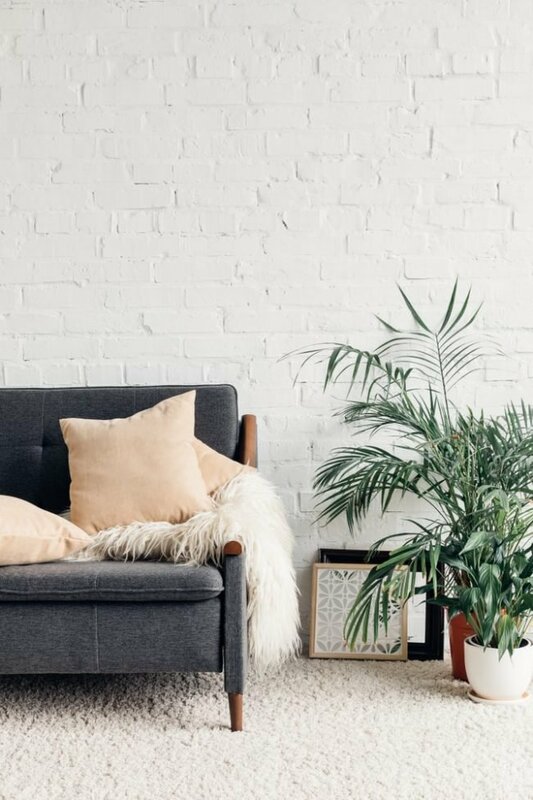 An interesting trick when it comes to saving some money is to get a young sapling instead of dropping more than a hundred dollars for a tall indoor plant. If you have the patience and you’re willing to make the effort to nurture the little sapling, the results can be very rewarding. You will end up with a stylish fiddle leaf fig tree that gets almost as tall as you. Fans of Moroccan interior design will probably appreciate the way poufs can update the look of their living room. These small ottomans are relatively inexpensive and excellent for adding some extra seating in a small space like the living room of an apartment. Our favorite model is this handmade dark brown pouf from Amazon. It’s sure to bring a bit of oriental flavor in any living room. 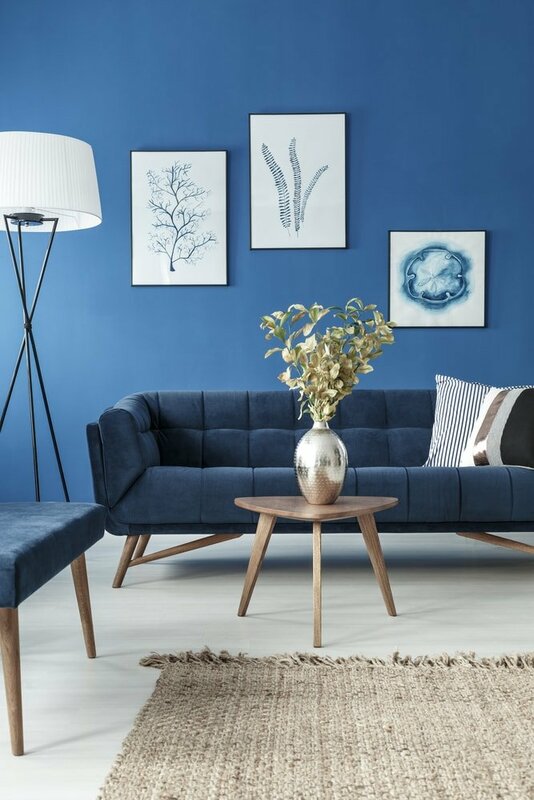 While buying a large piece of furniture for less than $100 is simply not realistic, you can still furnish the living room with some smaller pieces like end tables. They aren’t just very practical when it comes to placing various objects like lamps. You can also pick a stylish model to enhance the look of your living room. 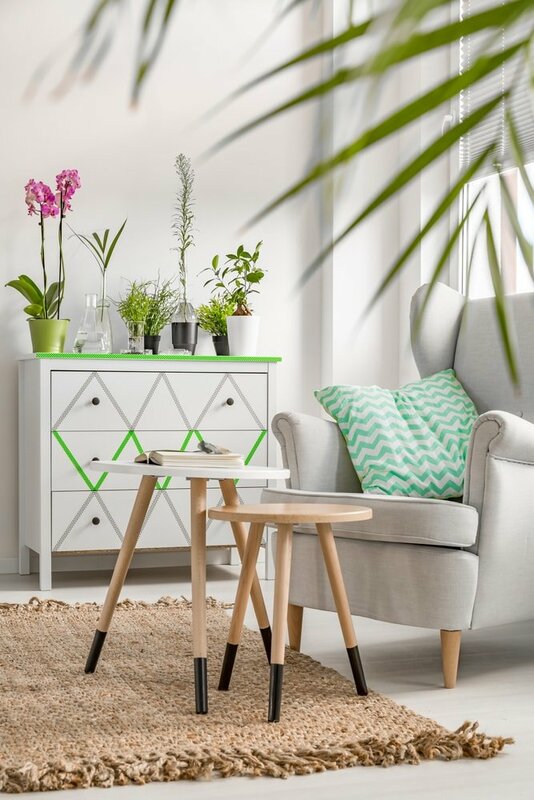 We prefer a practical end table with a sturdy metal frame and storage space like this unit from Amazon which has an industrial vibe.